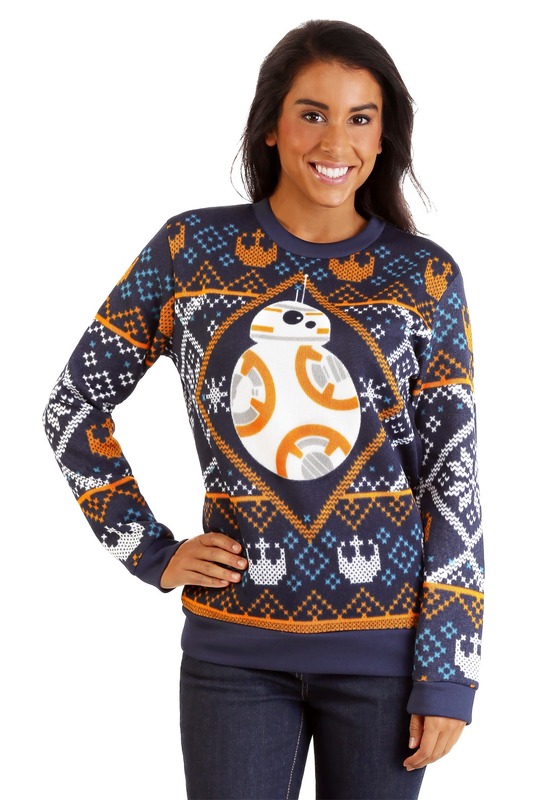 Do you ever feel nervous at holiday parties? It’s a pretty natural feeling to have. There are so many people there to schmooze with, so many snacks to devour, and so much Christmas cheer to be had. Also, there are so many prepositions to end phrases with (a little bit of grammar humor for you there)! 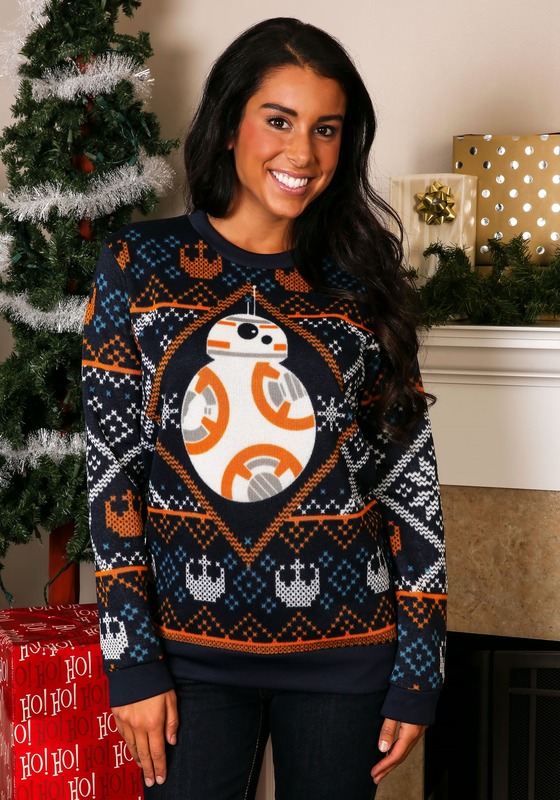 It’s times like these that we like to channel our inner BB-8. You see, BB-8, the astromech droid from Star Wars: The Force Awakens, always has a chipper response to every situation. He never lets himself get overwhelmed by circumstance! 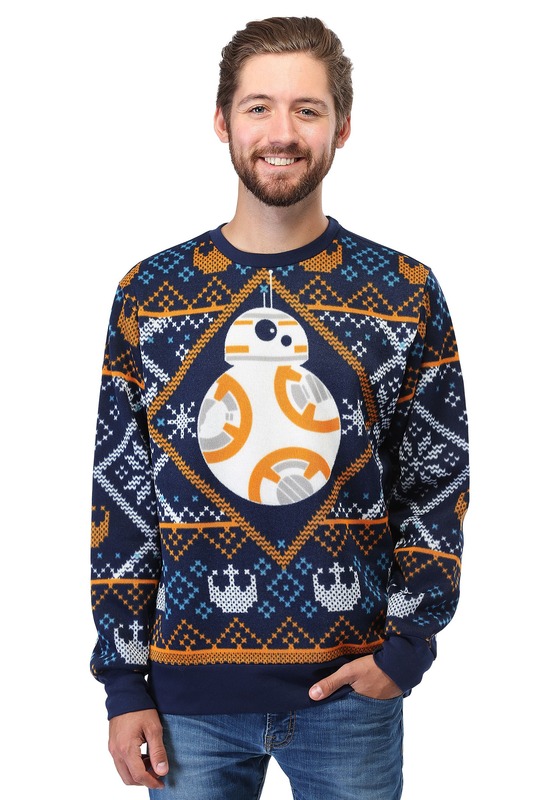 When he gets stranded on the deserts of Jakku, he just carries on his merry way. When a bunch of Rathtars escape from their pen, he just casually avoids them. He always just rolls with it. 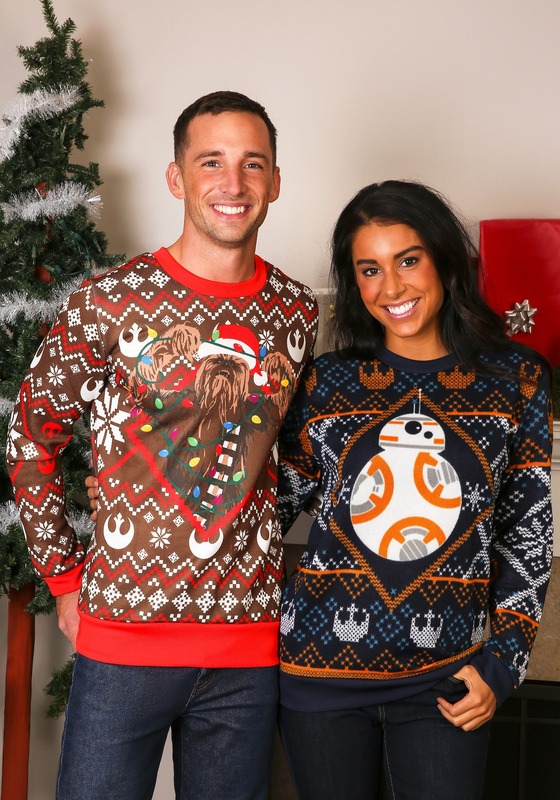 You can channel your inner BB-8 this holiday season too! 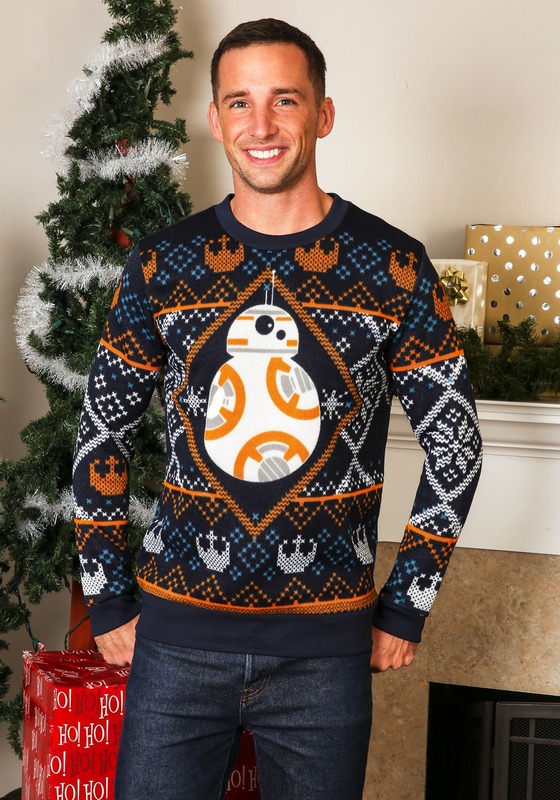 This adult BB-8 Sweater is licensed from Star Wars and it has a big image of the tiny droid on the front. 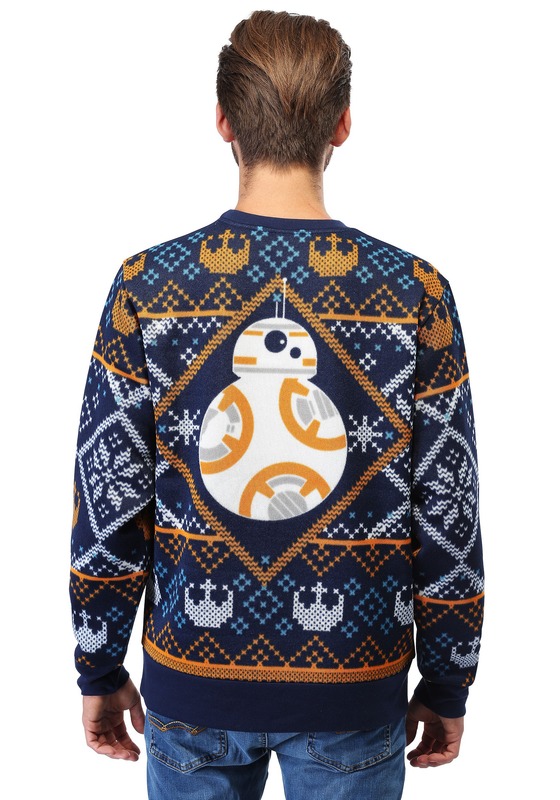 It also has Resistance symbols and classic Christmas sweater style patterns on the front. Once you put it on, you might just feel the inclination to roll with the situation like BB-8 does.